There are very few things in the Automotive Aftermarket industry more glorious or pleasing to the eye at than a widebody kit. We’ve all seen our fair share of widebody cars in the past, ranging from ludicrous SEMA showcars we’ve seen to IMSA racecars, or others at shows – and on the track – around the Southern California area. Some are exciting, fresh, new, desirable, innovative, but I felt that unless the widened bodywork had a function, more than just a look, it had to be something that I could use on the track to decrease overall lap times to really get my attention. Trust me, truly functional aero modifications are harder to come by than you’d think. 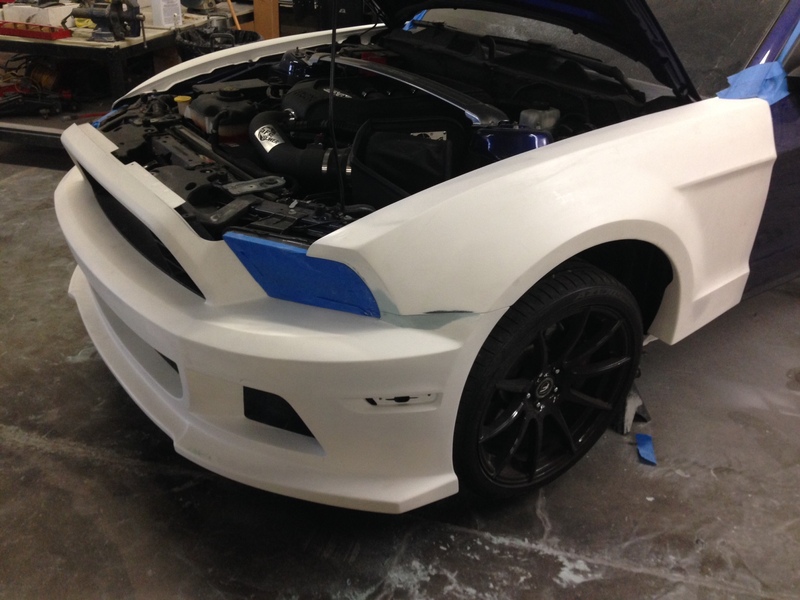 APR Performance happens to share my vision of what proper aero should be, and so I’m thrilled to say that we’ve had the opportunity to collaborate with APR Performance as they developed a widebody conversion for the 2013 Mustang GT. As time has passed, boy has APR delivered the widened body we’ve been dreaming of. This comprehensive widebody kit includes all new FRP panels, including new rear quarter panels, new fenders as well as new front and rear bumper fascias. Basically, almost every body panel on the vehicle will be replaced, making the car a full 50mm’s wider at each wheel, allowing the car to run much wider-than-normal wheels front and rear, increasing grip by allowing a wider tire (and thus bigger contact patch) as well as the width of the track of the Mustang to increase overall traction, not to mention look freakin’ cool. 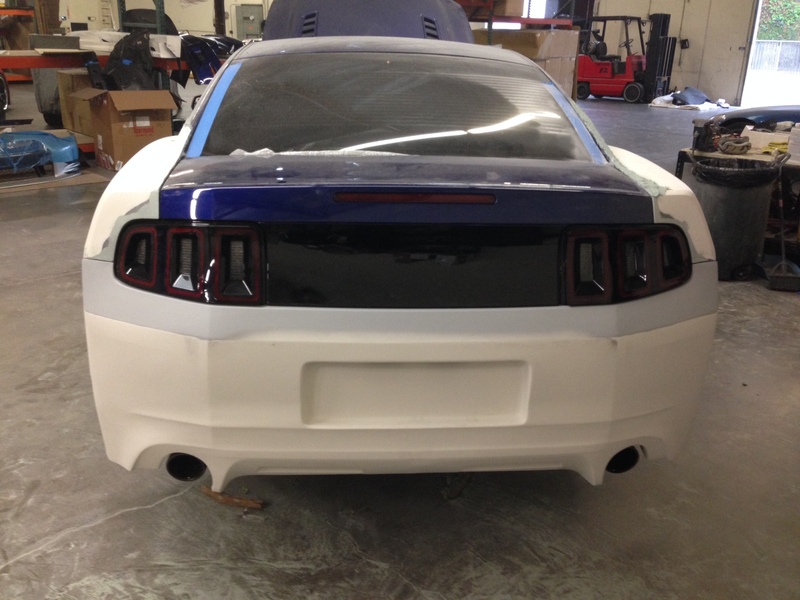 Everything aside from the doors, A pillar, half the B and C Pillar is removed and replaced, along with the hood and roof panel, changing the contours completely, giving this Ponycar a fresh and exciting new look. 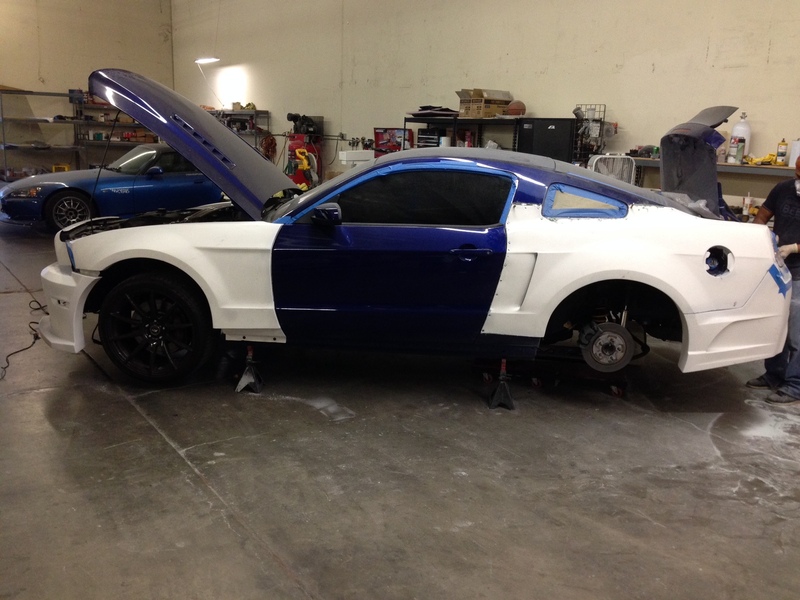 As we discussed this kit extensively with our friends at APR Performance, APR’s designers told us that they didn’t want to create an entirely new car, they wanted to the finished car to still have that “Mustang” feel to it. Their main goal when designing the widebody (aside from making the Mustang even more track ready) was to keep the factory body lines intact. Stay tuned for more updates, as we should be wrapping up the build over the next few weeks! We can’t wait to see what it looks like after paint! R1 Concepts Car Meet 9/28/2013 – ModBargains.com’s Event Photos!